Will spend sat evening in seeheim, then sunday close to augrabies. Then a stop over in kathu and kuruman and home.. Going to Letaba in Kruger next weekend... 6 nights.... yummy! Wow it was gorgeous and relaxing. Dube is a real jewel in the bush with good facilities. We saw plenty of wild life while on foot and from the Jeep. A quick get away this weekend coming to Beverlac - always a good close by break. Going to Klein Kariba this weekend for the kids, staying in the perm tents so slacking it this weekend. So, ek en Elize is op pad na Pilansberg, Bakgatla vir die naweek. Pak net die laaste goedjies, \\Kan nie wag vir die naweek nie!!! Ek sien ook nou baie uit na Bakgatla die naweek! Goed vir die siel om bietjie bos toe te gaan! 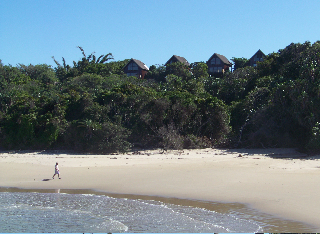 I'm leaving tommorow morning for Forever Resorts Plett. Some Southern Cape members joining me on Friday. It's going to be good, even though there's rain predicted for the weekend. Did not want to come back home!! Leaving tomorrow morning for a trip to Augrabies, Kgalagadi and Southern Namibia. 19 days!! Could you guys maybe post a pic or two of the camp sites? So that we can see how the camp sites look! Leaving Friday morning very early to Boegoeberg Dam, Kgalagadi, Swakop, Sesriem, Ais-Ais, Aqaucade camp site, Augrabies and back home. Two weeks of camping in the bush!! Last edited by Buddie; 2012/03/20 at 03:15 PM.
" A meal without wine is called breakfast"